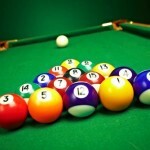 Mr. Billiards can deliver your new pool table to your home or place of business. If you are buying or selling a table privately, call us to organise the move. We also have a large range of cues and accessories available for delivery. 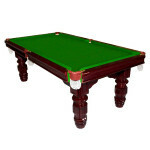 If your table is damaged or worn then Mr. Billiards can do the repairs. We can replace cushions, pockets, rails and more to improve your playing experience. The Mr. Billiards re-clothing service is renowned as one of the best and is trusted by Australia's elite cueists. You can choose from over 20 cloth colours and several different types of cloth. 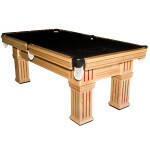 For 20 years Mr. Billiards has provided its customers with quality products, competitive prices and friendly service. We supply a wide range of pool cues, pool table accessories and pool tables for sale to customers in Perth, Western Australia. Our range includes pool tables, balls, cues, ashtrays, clocks, table covers, cue racks and pool table lights, just to name a few. 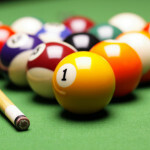 Our pool tables are all standard competition size - 7’ x 3’6”. They feature solid timber legs, solid brass pocket brackets and top quality English cloth. You can choose from a range of cloth colours to ensure your new table blends seamlessly into your games room or undercover patio. 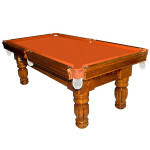 Not only do we sell pool tables and accessories, but we also offer services like pool table re-clothing, table repairs (such as cushions, pockets, rails etc.) and pool table deliveries. We can deliver your new table to any suburb in the Perth metropolitan area, or simply move it for you if you’re relocating to new a premises. 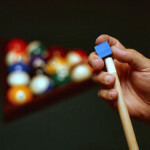 So, whether you’re an up-and-coming youngster, a seasoned pool shark or just a social player, we’ve got the equipment to help keep you up-to-scratch. All of our products can be ordered online and delivered to your home or place of business. Take a look around, no doubt we’ve got what you’re looking for!